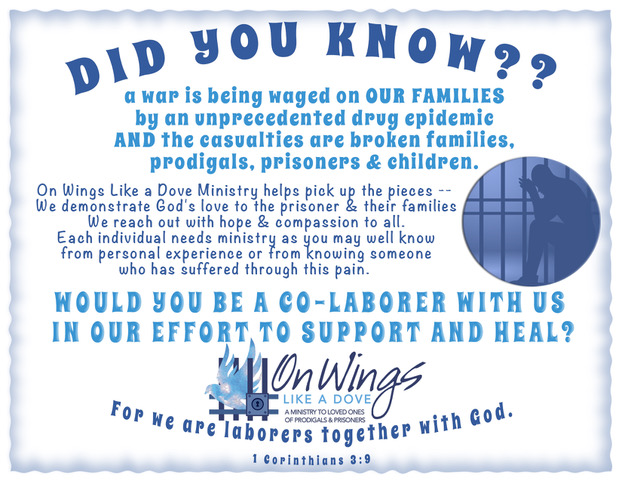 At On Wings Like a Dove, we have many avenues for connecting with us. Ranging from Bible Study to packing a Treasure Box for a child of an Inmate, to supporting us financially. Please join us!